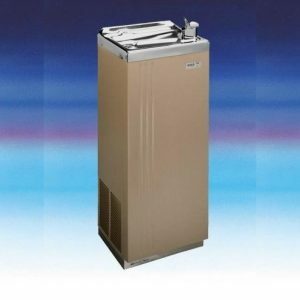 Recessed and surface mounted water cooler manufactured from 304 grade stainless steel, with a grained finish. 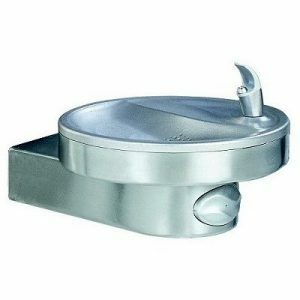 Saving space for locations like narrow corridors, model RDF90 is a very popular non-refrigerated drinking fountain. Like the others in this series, this model is made from quality stainless steel and has a deep drawn pressed basin. The modular fountains comprise models 43P and 771 singly or in double hi-lo formation. Each fountain has a stainless steel splash back panel. The latter are very popular in locations where both adults and smaller children are likely to be the users like shopping centres and schools catering for a spread of ages. Our two surface mounted fountains are usually coupled to one of our Hide-Away water coolers. 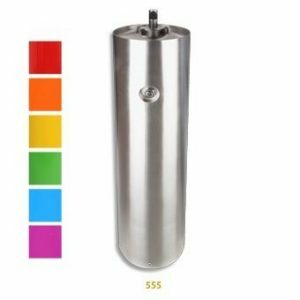 S232 is large enough to accommodate both bubbler and glass/carafe filler. 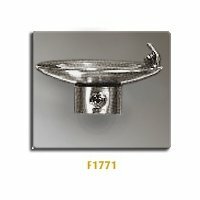 Our popular model DF40 is a small round fountain measures less than 250mm in diameter and can only have one faucet.